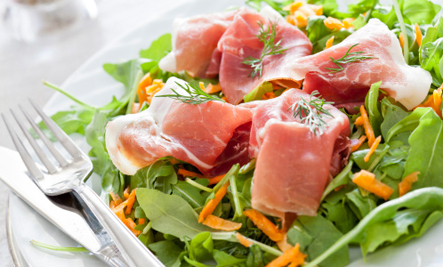 Salads are often seen as the pinacle of healthy eating. But just because something is a salad doesn’t mean it’s all that nutritious. Case in point, though this is obviously an extreme example, there are dozens of fast food salads that have more calories than a Burger King Whopper! Indeed, there are many ways to ruin your diet with a salad. Click through to find out more about them, the caloric punch they pack, and tips on healthy substitutions! Nope, no nutritional value here — so why bother with adding them on to your otherwise healthy salad? Try This Instead: Missing the crunch? Add flax seeds! 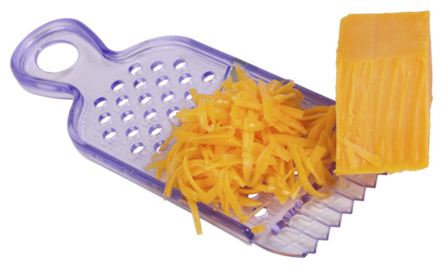 When used sparingly, cheese really doesn’t have to be that bad. But don’t compensate for an otherwise bland salad by piling on the yellow stuff! Try This Instead: Just use less! Or, try out a low-fat cheese or even a vegan/soy variety. 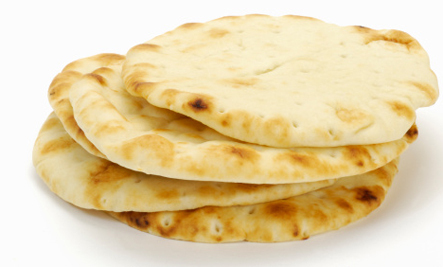 Often coated with butter and/or oil at restaurants, pita bread can pack in a lot of unnecessary calories. 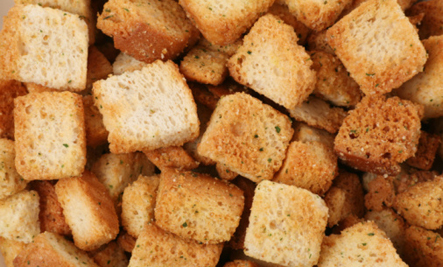 Try This Instead: go for whole-wheat, and skip the oil and butter. 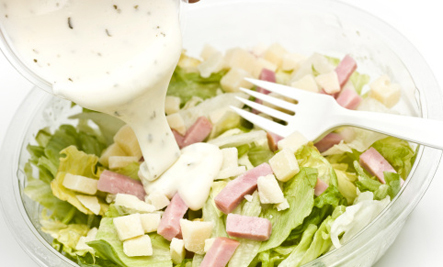 It’s amazing how many calories are hidden in dressings — drenching a salad in ranch or thousand island can add a couple hundred calories to your meal! Try This Instead: Use less of it, and go for lighter dressings, like Italian or Greek. This should probably go without saying, but adding processed & fried meats like bacon bits, ham and fried chicken is not a good idea. These calorie bombs are high in fat, cholesterol and all sorts of other things you don’t want. Same goes for fried meats. Average Calories Per Serving: Varies, but it’s not pretty. Try This Instead: grilled chicken. For a vegan option, try grilled tempeh! 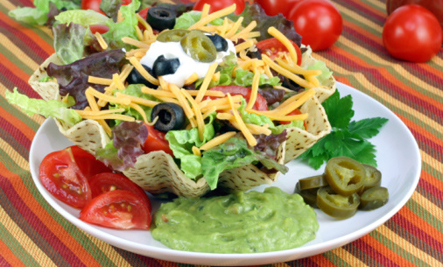 Though it’s certainly fun to have an edible bowl, tortilla bowls rack up the calories and don’t offer much in return. Try This Instead: A small handful of blue tortilla chips on the side. The last one looks nice, although I am not guilty of any of the above, thank goodness!